Hairmax Conditioner for Density, 8.5 oz. 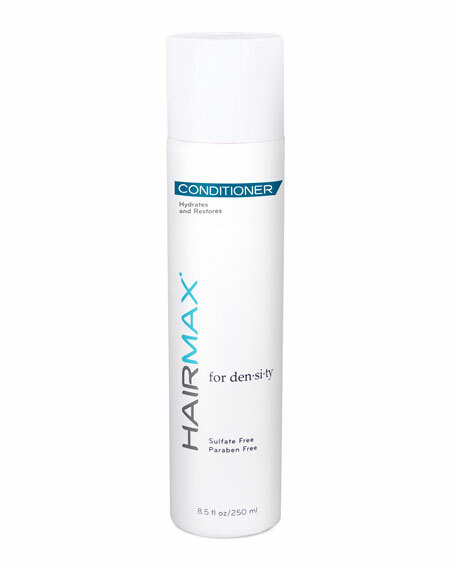 HairmaxConditioner for Density, 8.5 oz. This sulfate free, botanically infused Hairmax conditioner deeply hydrates your strands, retaining moisture to strengthen, detangle and protect your hair. This restorative, lightweight formula rinses free without leaving behind residue that can weigh hair down. Restores vitality and leaves your hair full, silky, and more manageable. Argan oil rich in vitamin E and essential fatty acids. Plant extracts and nutrients to help strengthen and fortify hair. Moisture locking polymers to help maximize hydration. Directions: Apply to wet hair. Work through from root to tip. Leave in for 1 minute. Rinse thoroughly. Avoid eye area. 8.5 oz./ 251 fl. oz.